As a member, you will receive the book from the person listed before you. When you receive the book, please make a journal entry at BookCrossing stating that you’ve received it. Please read it as soon as you can (don't rush; just be reasonable about the length of time). After you read the book, please journal again at BookCrossing with your comments. When it you've finished reading the book, please PM the next person on the list to request the mailing address. If you haven't had a reply after a week and two PM's, please move on to the next person on the list. I can add a loop back for anyone who misses out due to vacations, etc., but let's keep the book moving reasonably quickly. If you have any questions, please send a PM to me at mssaver. Arrived in todays mail. It will be next on my list after I finish the one I am now reading. It does look good. What a wonderful book! I absolutely loved it. Now I want to go back and re-read all the others in this series. Thank you mssaver for making this book available as a bookring. This book is now on its way to MAB29. Enjoy! My first bookray book arrived today, April 23. 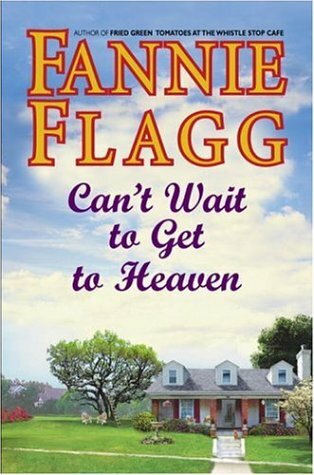 I am really looking forward to another Fannie Flagg! What a easy book to read! I just loved this story. Growing up in Georgia, I felt as though I knew all of these folks personally. Every character was recognizable -- their beliefs, quirks, and all, but you don't have to be a Southerner to enjoy Fannie Flagg's writing. I hope you still have more books to write, Fannie Flagg! I will be sending this on shortly to the next person in the Bookring! Received from MAB29. Have already started it. I love this author's books! Another enjoyable read by Fannie Flagg. As always there's always one line that sticks out in my mind in her books. This one was "I need to lose three pounds before Friday," It would be hard. It was already Thursday. Will send this on to the next lucky reader as soon as I have the mailing info. Enjoy! and thanks mssaver for sending this out on a journey.